and espesially in reality want to hear this song - CALM BEFORE THE STROM/ NOSTRADAMUS...this is above the heavens.. In the British Isles the BBC comes first - which would you rather have rock stars or pop idols? Kiev, Moscow and St. Petersburg are waiting for Priest!!! My other two favorite songs are already on the setlist (Blood Red Skies & Night Crawler) but I would love to experience that terrifying trio live. Plus it's a fan favorite and the riff is to die for. i would love to hear a ripper/ saints in hell encore at the winston salem show! Concert is tomorrow the 27th so no more time for requests! Play what you like, we are just happy to see you. Hell! you can play LA CUCARACHA 20 times if you like, just make it Judas Priest style heavy metal. See you guys tomorrow! We were drinking beauty with our eyes..."
A duet between Rob & Joan Baez. You know the song. Ian playing a 5 minute solo; front & center. Priest playing a version of Bob Dylan's The Ballad of Frankie Lee & Judas Priest. Songs? 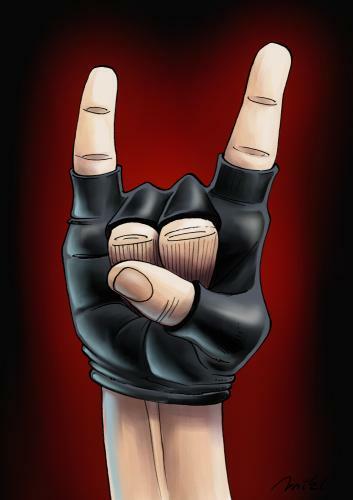 Anything that inspires the Metal Gods on 11-20-11. Never turn your back on the Ripper ! T.O . PLEASE, PLEASE play THE RIPPER. He's an old friend and we would like to say goodbye to him one more time. He has been with you guys since 1975 and it's not fair we don't get to give him a proper farewell. through many rough patches in this life. I was hoping that if at all possible, we could meet you the BAND. please consider spending it with the one man whom I know is worthy in all ways of this world. Thank you so very much an we look forward to a GREAT show that we know youwill give us tomorrow night! I know this is last minute, but I was wondering if I can ask for a ballad to be dedicated to Chef Marion, in Calgary Alberta tomorrow night Nov.2. Marion has been a life long fan of the band, as I am, however her mother just past away on Saturday Night, with Marion at her side and holding her hand, after a brief fight with terminal lung cancer. Marion will be seated in executive box seating, as I am diabled and can no longer be in stagefront seating, and she got these tickets as part of our 15th anniversary celebrations in Aug. of this year. memorialize and bury her mom this weekend. If there is any chance that a ballad can be dedicated to Chef Marion and her mother Ethel, I would be forever in your debt. would be a life long memory that one big fan would never forget. I ask you from the bottom of my heart, is there anyway a ballad can be dedicated to Chef Marion and her mom, as a special way of saying goodbye to both her mom and the band? Either way, if this cannot be done on such short notice, I respect this. From us to the band, We thank you for a lifetime or great memories, great songs, and absolutly bit*h'n concerts! Live well and retire gracefully, you have all deserved it.